The Melungeon Heritage Association is meeting this year at Wytheville, Virginia, June 20th, 21st, and 22nd for its 23rd Union with the theme, “Melungeon Women.” The Association welcomes those who have proven Melungeon ancestry, probable Melungeon ancestry, and those who have none at all and simply an interest in Melungeon history and genealogy, which is also part of Appalachian history and within the fabric of American history. The fee is $10 for any or all three days. Persons arriving Thursday will have an opportunity to visit the Edith Bolling Wilson Museum and learn of the First Lady descended from Pocahontas. Persons attending Friday will have an opportunity to meet and learn about early Melungeon families in Burke’s Garden, a lush valley and geological wonder in the Virginia Blue Ridge mountains, and George Vanderbilt’s first choice for the Biltmore House (For car-pooling, meet at Wytheville, 10 a.m.). This is followed by a reception at the Bolling Wilson Hotel, at 7 p. m. Saturday, June 22nd is the day for speakers on the theme “Melungeon Women” at the Meeting Center in Wytheville. Speakers will present Melungeon women in literature, the true story of Mahala Collins Mullins, and stories of their own maternal ancestors. Saturday’s full schedule begins at 9 a. m.
1:00-1:50 p. m. Lynda Logan and Stephanie Musick –Who Do You Think You Are? 1:00-1:50 p. m. Lynda Logan and Stephanie Musick -Who Do You Think You Are? All persons interested are welcome, whether the interest is in Appalachian history, women’s history, or Melungeon history. The Melungeon Heritage Association invites membership, but one does not have to be a member to attend nor does one have to have Melungeon ancestry. The Melungeon Heritage Association is inclusive of persons who are Melungeon, think they are Melungeon or a related people, or simply have an interest in Melungeon history. Wytheville is the county seat of Wythe County in the beautiful Blue Ridge Mountains of Virginia. 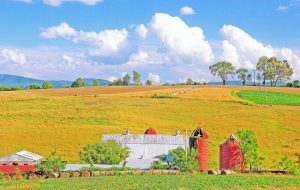 Convenient to interstate highways, Wythe County is largely rural with pasture land and forests and the historic north-flowing New River. 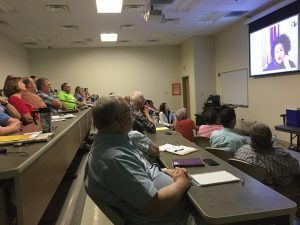 The rain held off and over 75 persons attended the 22 nd Union over a three-day period (June 21, 22, and 23) at Mountain Empire Community College, Big Stone Gap. Thanks to the expertise of the Mountain Empire Community College’s IT Department, we were able to visit with Adriana Trigiani by Skype. Thank you Mary Trigiani for being there in person and the remarkable dialogue with your sister. There were many other wonderful speakers including Forest Hazel and Marvin T. Jones on Thursday. They both spoke of community and place in North Carolina. Friday’s trip to Vardy was good as usual where DruAnna Overbay spoke of the special place that is the Vardy Community. I am always reminded of how progressive the Vardy School was, much ahead of the county schools at that time with progressive teaching methods, nursing care, and hot lunches. The Friday evening meeting at Southwest Virginia Museum was just as special when MHA honored Dr. Brent Kennedy with a plaque for his foundational role in Melungeon history and research and the Melungeon Heritage Association. Thanks to all those who spoke in support of—and their association with–Brent, including Shirley Hutsell, Julie Williams Dixon, President Emeritus S. J. Arthur, Brent’s wife Robyn, and his brother Richard (Richie). Thanks to the Museum for their partnership with MHA and their hospitality. And, thanks to Rose Trent and granddaughter, Emerald, for work on the reception and for their presence in what was a busy and stressful time for them otherwise. Carolina piedmont and mountainous New River Valley. with different subjects. I look to members such as Dr. Kathy Lyday, Lisa Alther, and others to provide professional literary criticism of Dromgoole and others who have distorted and prejudiced views of Melungeons. It was a good weekend in Big Stone Gap and, speaking for the Executive Committee, I thank everyone who attended. Thanks to Mountain Empire Community College and all those who partnered with us. Now it is time to begin planning for 2019! Although a schedule conflict found Adriana in Seotland on June 23, her presentation via Skype was very well received at Mountain Empire Community College for the 22nd Melungeon Union. Adriana Trigiani has found she has to be away when she is scheduled to appear on Saturday, June 23 and has graciously offered to appear that day by Skype and also have her sister appear in person. We look forward to seeing and hearing Adriana by Skype and also having her sister with us. Also, we have a new speaker from 3:00-3:50 p.m. on Saturday, June 23. Carla Harper, author of the novel, Worthy, continues the Road to Goinstown, begun by Julie Williams Dixon and Paul Johnson in Lost Communities: Mixed Race Settlements of the Virginia/Carolina Border from 2:00-2:50 p. m. Important to Melungeon studies, researchers and academicians have for decades drawn parallels to the Goinstown community (located along the Virginia and North Carolina border) and Melungeons. 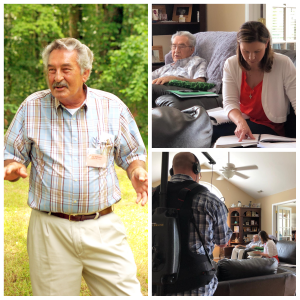 We are pleased to have Julie and Paul in tandem with Carla to bring us the story of this lost community. 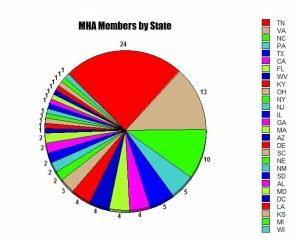 As the as current membership total is 99, this pie chart with the number of members in each state can almost be considered as percentages as well. With members in 26 states and DC, we are a national organization, but with almost half in Tennessee, Virginia, and North Carolina we are also clearly a regional one. The Comfort Inn at Big Stone Gap is now full for the dates of 22nd Union, but nearby Wise and Norton have several motels to choose from. The Wise County Chamber of Commerce has an online directory of hotels, motels, and other lodging options throughout the county. The Melungeons are a mixed-ethnic group first documented in the Clinch River region of northeast Tennessee and southwest Virginia at the beginning of the 19th century. Most researchers have assumed the Melungeons were of mixed African, Native American, and European ancestry, but theories and legends about the Melungeons included descent from Portuguese adventurers, Spanish explorers, shipwrecked sailors or pirates, Muslims, Jews, and others. Because of their uncertain ancestry, the Melungeons faced legal and social discrimination through the mid-20th century. 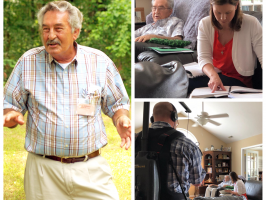 In recent years, Melungeon descendants have embraced their heritage and meet annually to listen to research presentations and share genealogies. 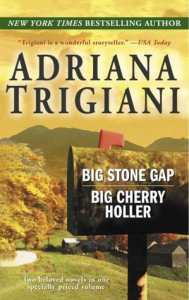 Melungeon characters have appeared in several recent works of fiction, including Trigiani’s Big Stone Gap (2000, Random House), set in Trigiani’s Virginia hometown. The book was made into a film in 2015, directed by Trigiani and starring Ashley Judd, Patrick Wilson, Whoopi Goldberg,Jenna Elfman,and Jasmine Guy. 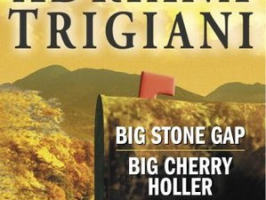 Trigiani has published 14 novels and two memoirs. She has also written scripts for television shows and was the writer and executive producer of City Kids for ABC/Jim Henson Productions, and oversaw the Lifetime television special Growing Up Funny and the Showtime series Linc’s. The Melungeon Heritage Association gathering, entitled 22nd Union, will begin at 9:00 a.m. on Thursday, June 21st, in Dalton-Cantrell Hall at Mountain Empire Community College in Big Stone Gap. Author and historian Marvin Jones will offer presentations on the mixed ethnic community of Winton Triangle in eastern North Carolina. Forest Hazel will discuss the efforts of the Occaneechi Tribe of Virginia to gain federal recognition, and filmmaker and photographer Julie Williams Dixon will present her film Melungeon Voices and her photography exhibit, “People and Their People.” The evening will end with a 7:00 p.m. showing of the film Big Stone Gap. On Friday, June 22nd, participants will travel by carpool or on their own to the Vardy Community in Hancock County, Tennessee, long recognized for its Melungeon population. The Vardy community was the site of a Presbyterian mission that served Melungeons during the first half of the 20th century, and a tour of the site will begin at 10:00 a.m. Author and Vardy historian DruAnna Overbay will present “Vardy: A Sense of Place” at 1:00 p.m. That evening at 6:00 p.m., a reception will be held at the Southwest Virginia Historical Museum State Park in Big Stone Gap, followed by family group discussions for those interested in exploring their own possible Melungeon connections. Saturday, June 23rd, will open at 8:45 a.m. in Dalton-Cantrell Hall at Mountain Empire Community College in Big Stone Gap. Adriana Trigiani will begin with a presentation entitled “An Appalachian Childhood in Big Stone Gap/Melungeons in Fiction.” Dr. Terry Mullins will present “One Melungeon Family’s Clinch Valley Odyssey,” and Dr. Arwin Smallwood will discuss “The Great Tuscarora Diaspora.” After lunch, Julie Williams Dixon and Paul Johnson will present “Lost Communities: Mixed Race Settlements of the Virginia/Carolina Border,” and Dr. Edward Davis IV will offer “From Melange in Angola to Melungeons of America.” Filmmaker Heather Andolina will discuss her documentary-in-progress about the Melungeons, followed by a general meeting of the Melungeon Heritage Association. Registration for 22nd Union is $10 for any or all of the three days. 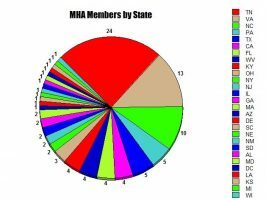 Pre-registration information, as well as information about MHA and the presenters, is available online at www.melungeon.org. Participants may also register on-site. Pre-registration is required for anyone who wants lunch at Vardy on Friday, June 22nd. Lodging information in Big Stone Gap is also available on the MHA website.